While these two numbers share commonality they reveal quite different information about atoms. Each of these numbers are measurements of specific characteristics of atoms. Due to the laws that dictate atoms and the particles that compose atoms it can often be rightly assumed that if one is higher in a particular atom then the other will be higher in that atom as well. Some exceptions may apply. Atomic mass is measured in atomic mass units often denoted by the abbreviation ‘amu’. One atomic mass unit is equal to 1/12th of the mass of an atom of carbon-12. To state that in grams, an amu is equal to approximately 1.66 Ã— 10-24 grams. These are rather small numbers relative to most measurements that are conducted in daily life, but scientists have developed ways to measure these amounts with consistent accuracy. Mass spectrography is one of the more common methods used to measure the atomic mass of an atom. 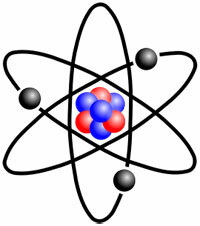 Much of the mass in an atom is located in the nucleus of the atom and is in the form of protons and neutrons. Each of these particles weighs approximately one atomic mass unit. The mass number is the count of these particles and so the mass number is very close to the atomic mass. Atomic number refers to the number of protons in nucleus. It is often denoted using the symbol Z. The number of electrons in the neutral atom is equal to the number of protons in the nucleus and therefore equal to the atomic number of the atom. Atomic numbers were first assigned circa 1913 by H. G. J. Moseley. He arranged the atoms into an order based on X-ray spectra observation and then numbered the atoms. The elements are arranged in the periodic table by their atomic number. You may already recognize how closely related these two number are. If the atomic number is high it can be expected that the atomic mass will also be high. This is a result of the protons numbered in the atomic number accounting for a fraction of the mass in the nucleus. There are a number of other significant numbers when examining atoms. These include atomic weight which is closely related to atomic mass and was the basis for Mendeleev’s periodic law. lanceraa. "Difference Between Atomic mass and Atomic number." DifferenceBetween.net. October 11, 2011 < http://www.differencebetween.net/science/difference-between-atomic-mass-and-atomic-number/ >.